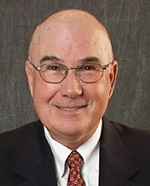 Dr. David F. Chacon, D.D.S. You'd be amazed (and probably delighted) by the options modern dentistry makes available for strong, natural-looking tooth restoration. Read on for more information about the exciting new cosmetic dental materials we have available now. Traditionally, gold has been the "gold standard" of materials, and for good reason. Gold is highly biocompatible and is very long-wearing. A gold tooth, however, is not natural looking. Today's a porcelain crowns or veneers don't mean choosing between strength and a lifelike appearance. You can opt for both. New all-porcelain crowns and veneers are available that look like natural teeth. They're durable enough to be used even for molars. This super-strong new generation porcelain is so resilient and tough it's being used in the manufacture of some tennis rackets! Silver fillings (the kind that turn black) are a thing of the past. Instead, a composite resin filling can be used. And it's just as strong and durable as silver, and more closely reflects the color of the original tooth surface. If you've had some cosmetic dentistry work done in the past, you'll be happy to know you're no longer locked into the choices of even five years ago. Modern dentistry is evolving rapidly, and fresher, more natural smiles, are the result. Make sure your cosmetic dentist's office is interested in what's new for their patients. Ask them about other exciting new options (dental implants, teeth bleaching, onlays, inlays, etc.) they can offer you for your smile.